For the highest levels of security assurance, you can purchase branded Extended Validation (EV) SSL certificates from iWebz. These certificates can be used by registered companies or organisations on their websites and have a detailed verification process requiring the submission of documents. Current DV certificates cannot be upgraded to EV certificates. Extended Validation (EV) or Premium SSL certificate is where the Certificate Authority (CA) checks the right of the applicant to use a specific domain name PLUS it conducts a THOROUGH vetting of the organisation. The audits are repeated yearly to ensure the integrity of the issuance process. 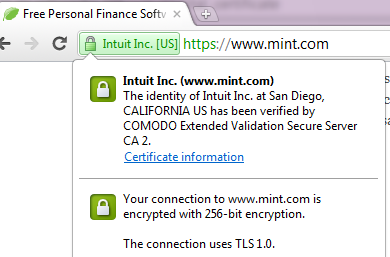 Only Extended Validation certificates display a GREEN bar with the organisation name in the web browser's address bar. It is much easier to imitate a site secured with a low-priced, Domain Validated, or DV, certificate -- because those are the certificates with the least verification and the least cost to the certificate authorities. An instance of phishing on a site means a huge amount of discomfort experienced by any affected customers. It can also mean a legal liability incident for the affected company or organization. The green address bar lets customers know that they are on a site operated by your company and that it is safe to enter their information.